Today's couple chose the elegant Hilton Santa Barbara Beachfront Resort where they would say their vows in front of their family and friends. 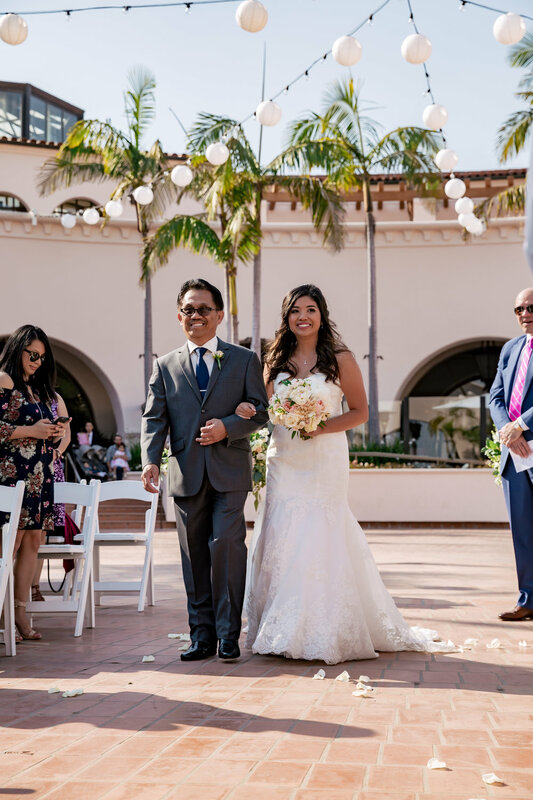 It was a perfect sunny, Santa Barbara day for these two and Rewind Photography captured the day expertly. The bride wore a strapless gown and her bridesmaids chose from a variety of floor-length navy blue gowns which were contrasted by beautiful white and soft pink bouquets crafted by Grass Roots. 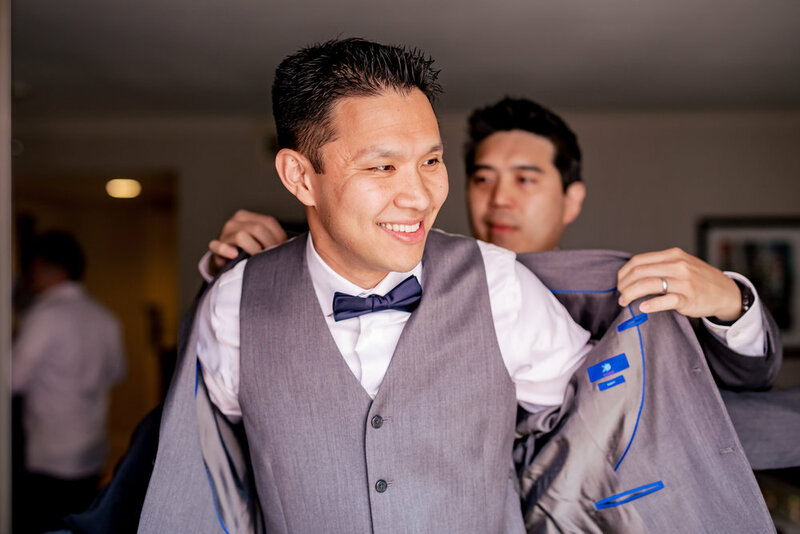 The groom and his groomsmen wore matching gray suits with small white boutonnieres. 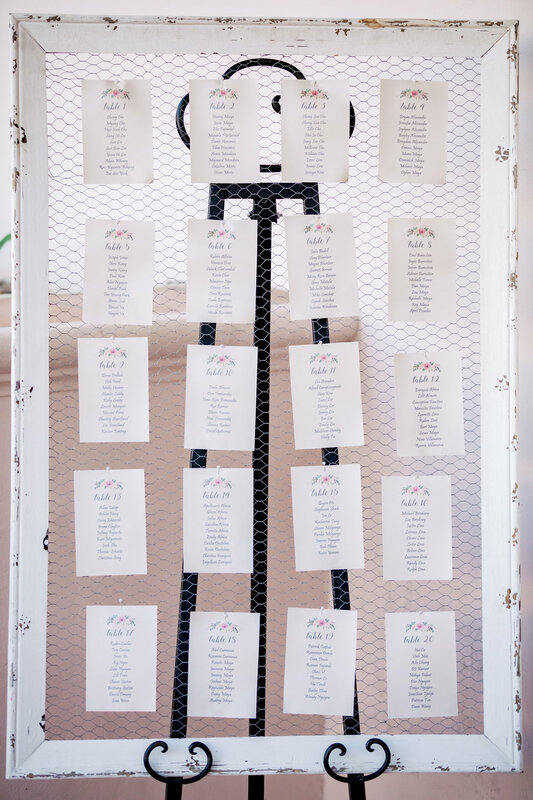 In lieu of a traditional guest book, a table at the reception featured plaques of the bride and groom's home states, California and Texas, for their guests to sign. Dinner and dancing were enjoyed at the reception along with the "Shoe Game" which is always a favorite. All of this lovely wedding was planned by Events by M and M to make this a day these newlyweds would never forget.